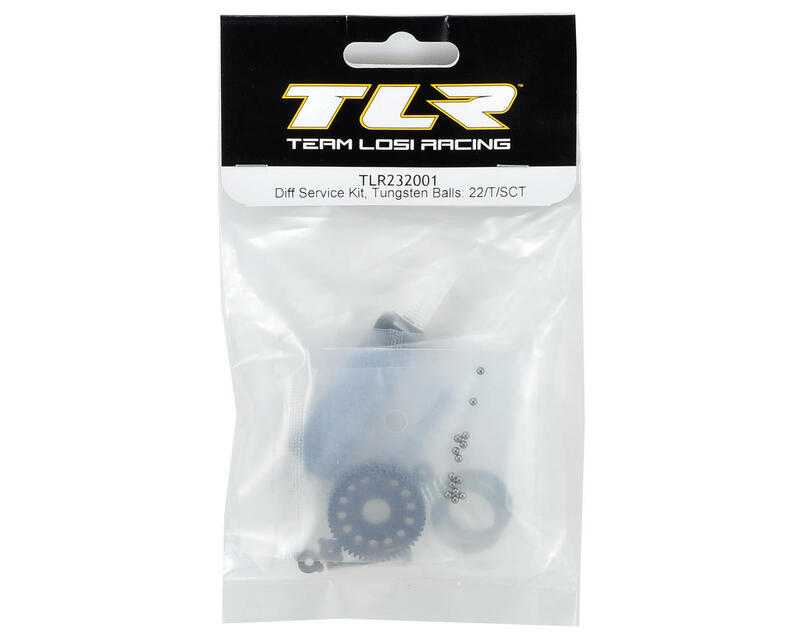 This is an optional Team Losi Racing Tungsten Differential Service Kit and is intended for use with the TLR 22 family of vehicles. Freshen up your ball differential by replacing all critical wear parts (outdrives and 5x8mm differential bearings not included). 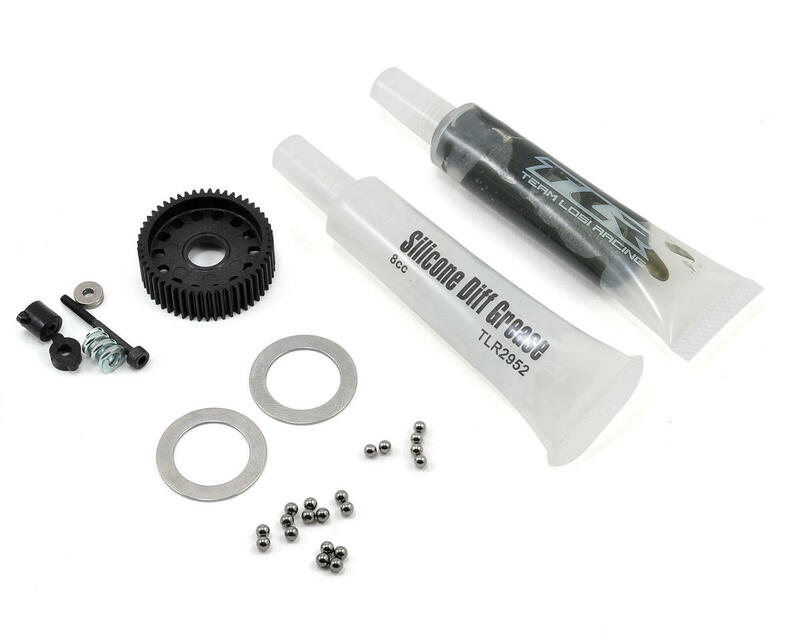 This differential service kit includes Tungsten Carbide differential and thrust balls for improved smoothness and longer life-span characteristics.